There were a number of reasons that the Raspberry Pi Jam, held at Entelect’s Melrose offices over the weekend, was auspicious. 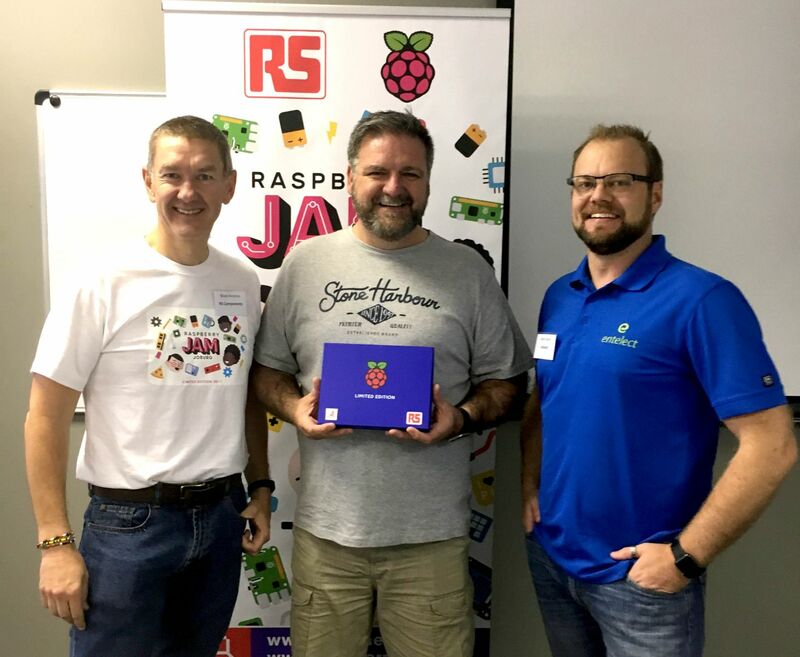 Firstly, the ‘Jam’, which is an event that brings the Raspberry Pi community together to share knowledge, was the first to be held in South Africa. 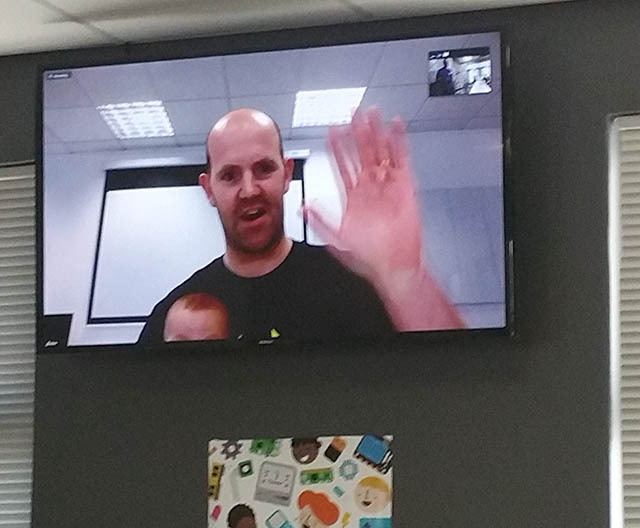 Secondly, it featured Raspberry Pi founder, Eben Upton, joining in via teleconference. And thirdly, it gave more than a little insight into how the tiny PCs can potentially cultivate innovation and stimulate those who otherwise may never have been exposed to science, technology, engineering and mathematics (STEM) careers. For those who aren’t familiar, Raspberry Pi’s are essentially small, low cost PCs which can be used for a variety of functions, from the pragmatic (home automation) to the intricate (atmospheric monitoring). Kicking the event off was Brian Andrew, the general manager for RS Components South Africa. Andrew enthused that since its launch in South Africa five years ago, the Raspberry Pi has proved to be a hit with design engineers, makers and anyone who loves tech gadgets, due to its low cost and the fact that it functions as a mini computer. “Although it was initially designed to promote STEM learning and coding, it has successfully been used in both business and home applications. We realised that as a global distributor of the Pi computer board, we needed to initiate a platform in South Africa for Pi fanatics to get together and share their knowledge and ideas,” he elaborated. 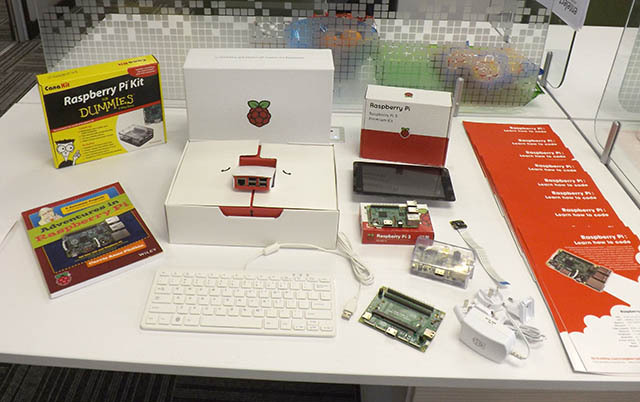 Mark Beets, the general manager at Entelect Software, enthused that the Raspberry Pi is “an awesome tool” that enables tech enthusiasts to create some really cool innovations. “We’re passionate about the future of technology and, for us, this means doing whatever we can to help the tech community grow, and creating environments where people can share their innovations with like-minded people,” he continued. In his address, while balancing what was most possibly the most well behaved toddler ever, Upton explained the initial inception of the Pi and the startup phase of the Raspberry Pi Foundation. He elaborated that the idea of the Raspberry Pi came about in trying to solve a particular problem, which was to boost an interest in computer programming and STEM learning in young students. The concept was to create an affordable computer at $35, which needed to be both functional and simple enough for a child to learn coding. He also gave some heartening encouragements for start-up ventures, especially those that may struggle in their early years. Indeed, the Pi proved to be a prime example of a concept that grew beyond its founder’s dreams. Upton elaborated that while they initially envisioned selling 1 000 Raspberry Pi boards, but demand peaked rapidly to 10 000 boards. Five years later, more than 15 million Raspberry Pi’s have been sold globally. However, Upton did reassure that even as the Pi has grown in popularity, it’s mission remains to try bring more people into the STEM fold, particularly those who may be from a disadvantaged background and may never have had the opportunity to be exposed to computing in any form. The breadth of innovation shown on the day was impressive, especially when you consider that the computer board powering them could fit in your back pocket. One of my favourites was Gareth Stephenson’s Pi Cluster, which effectively grouped several Pi’s together to generate a high powered system, at a fraction of the cost of one of the high powered processors available on the market. While he snagged second place for his project, it was a home automation project, conceived by Willie Strydom, which won on the day. Strydom used the Pi to consolidate various home automation applications into a single user interface that could then be accessed from an app on one’s iPhone or Apple Watch. It was selected as the winning entry based on its relevance, usefulness and future potential, and won its maker a Limited Edition’ Raspberry Pi, of which only 1 000 have been produced in the world, and a voucher to spend at RS Components for his next project. The good news is that apparently there will likely be more Pi Jams in the works. If you are a Pi enthusiast or want to be kept up to spend up Pi community developments, you can register here.